One bite of Vincent’s Almond and Vanilla cake told me I was in a special place. I can taste it now, rich, not too sweet with a perfect balance of flavours. Fabulous. But I am getting ahead of myself. 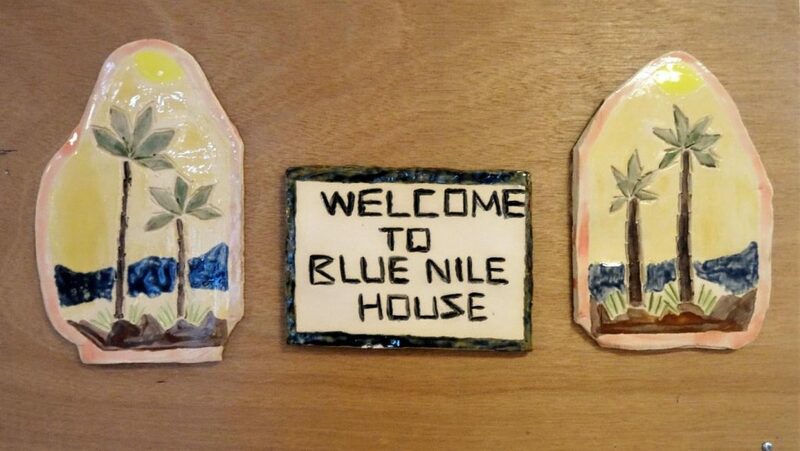 Blue Nile House, based in Chase Farm Hospital in North London was the place of divine cake – and much more. 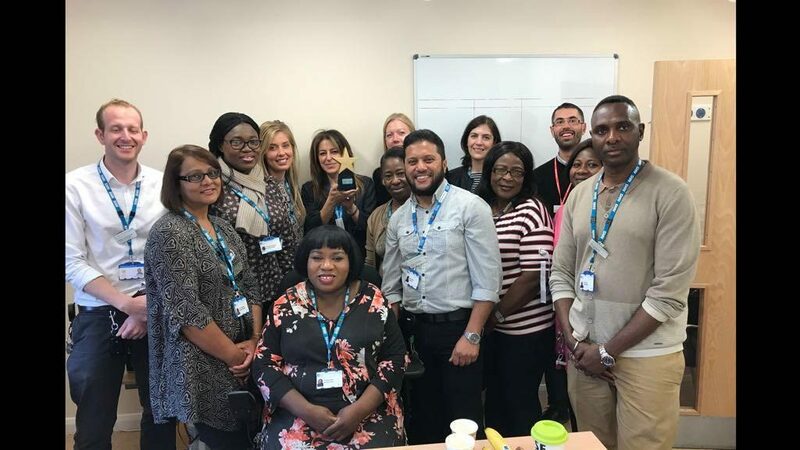 A low secure male forensic ward in Barnet Enfield and Haringey NHS Trust, the ward sits in its own little block and is chock full of amazing staff and patients. 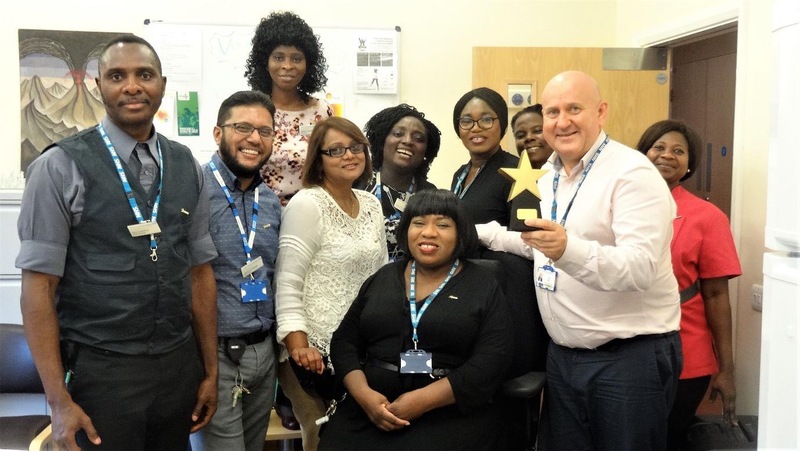 We have known about Blue Nile for some time at Star Ward HQ as the staff nurse in charge of activities, the talented Omar Limbada, is a keen and enthusiastic Star Wards champion. 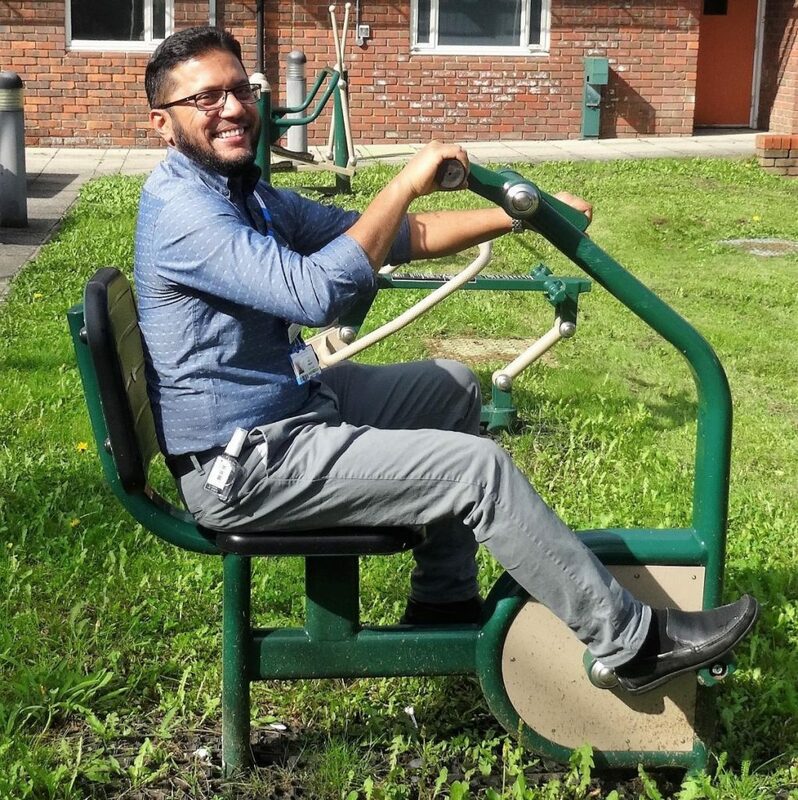 Omar has kept us informed of the development of the ward’s work and, in September, contacted us to say they were ready to be considered for a Full Monty. Boy, was he right. They were amazing. So I went up to meet Omar and Ward Manager Alie Daramy and have a look at the ward. The first thing that struck me walking through the door was how welcoming and spotless it was. The entrance has large display cases of all the wards activities and photos of various trips out (they have many). 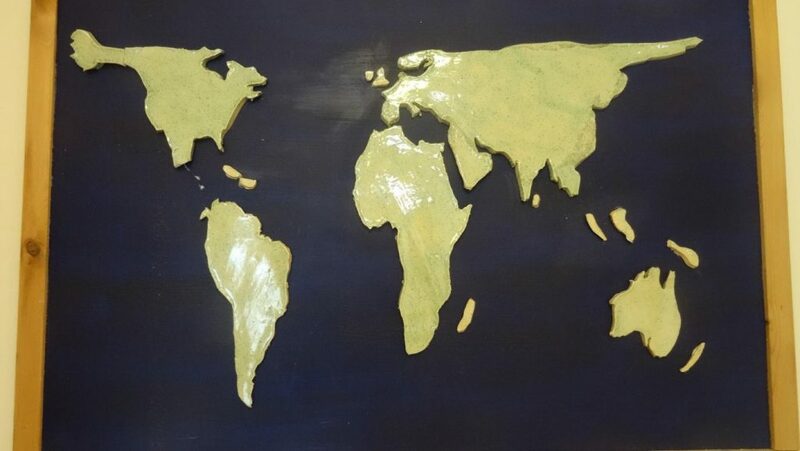 This hangs beside beautiful hand crafted ceramic panels of a world map and the wards name, but what really struck me was I could have eaten my dinner off the floor. The ward domestic, Victoria, an unassuming, lovely lady takes tremendous pride in her work and the ward was pristine throughout. Given the number of big men rolling around this is no mean feat. Well done Victoria. One inside, the friendly Omar and Alie took me on a detailed tour. In two hours I saw so much that I can only give a barest of flavours. First, the ward does its own catering! 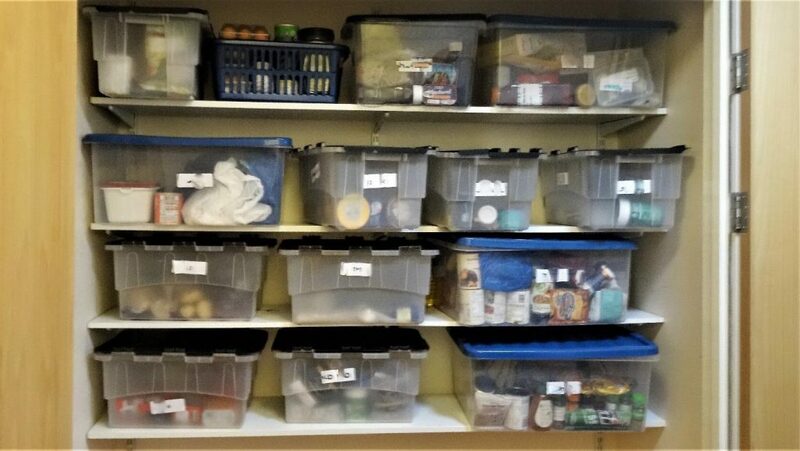 Given one of the trusts “dragons den” awards, they installed industrial fridges, high range cookers and a cupboard with separate boxes for the men to buy and keep their own supplies. In the huge kitchen I found some of the men cooking with staff Varsha Ramnawaz, Elizabeth Williams and Omar’s brother, Abdool Aziz. Little did I know there was also the genius baker, Vincent, quietly creating his masterpiece. They were all busy with preparing the celebratory thirty-person lunch to celebrate the Full Monty. 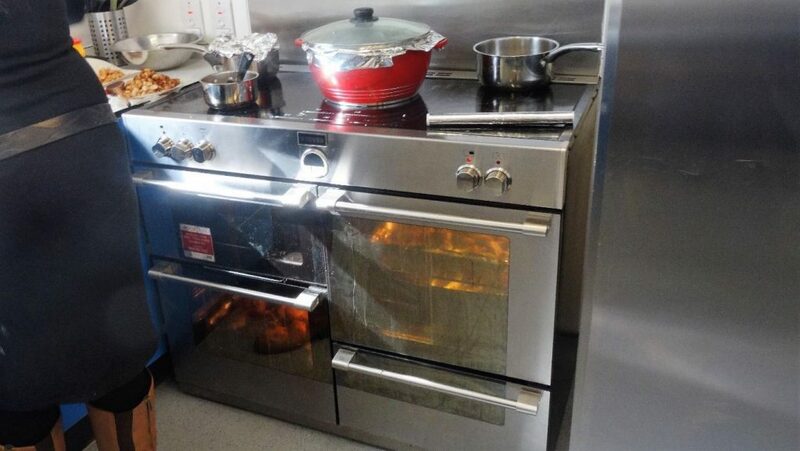 We don’t often include pictures of domestic appliances with our Full Monty accounts, but we do here! 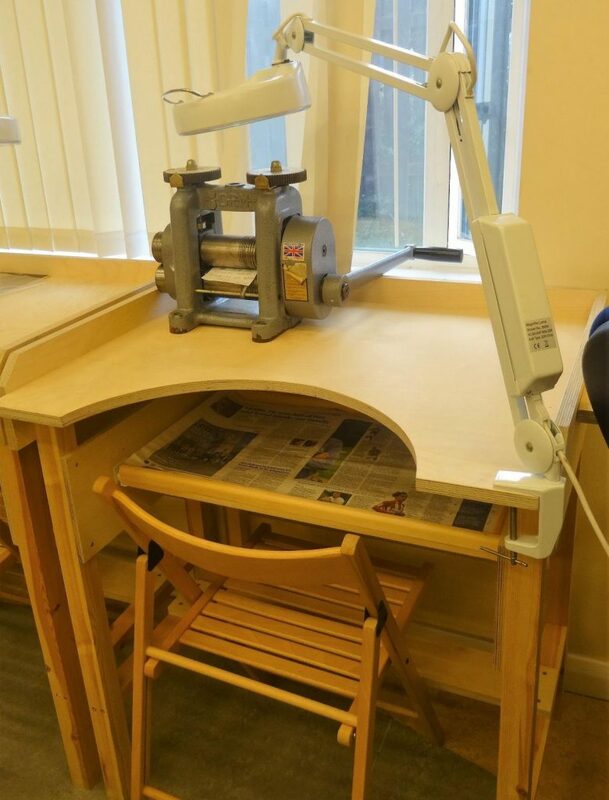 The dragons den award was the second the trust had given the ward. 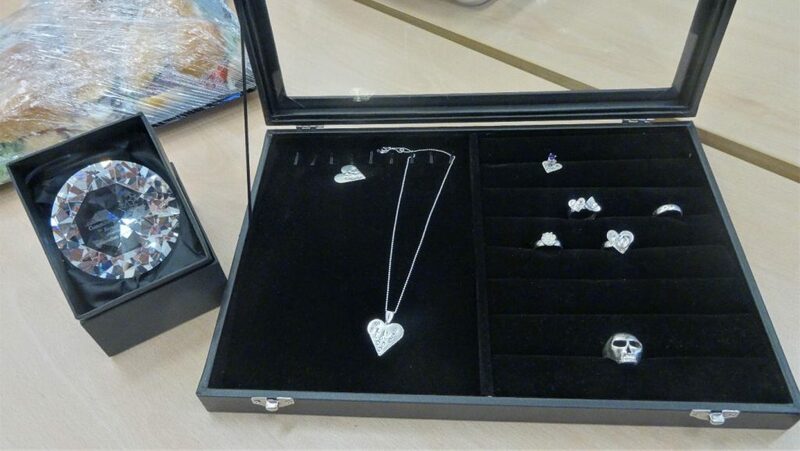 Omar is a skilled jewellery maker (don’t we always say mental health staff have hidden talents) and the ward bought the tools and equipment for Omar to pass on his skills to the men on the ward and also run courses in the adjoining recovery college. The pieces I saw were just beautiful. Two men on the ward, Dylan and Clive, wearing rings they made, told me how special it was to design and create something beautiful with your own hands. The ward is big on helping the men gain pride and independence after long journeys in services. 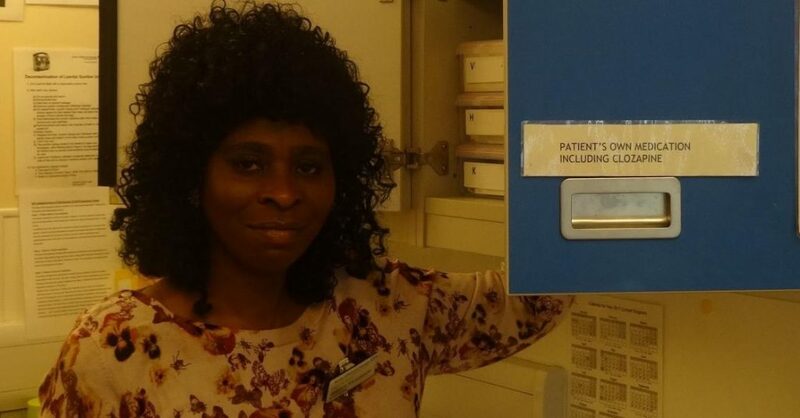 Omar showed me the personised medication cupboard that lets the men self-medicate under the overall guidance of the wards Pharmacists, Godson and Helena. He also told me everyone who was admitted got their own alarm clock to get them up in the morning, that the ward encouraged and supported the men to attend recovery college and work placements and that people who were transiting to accommodation outside hospital could come back to the ward for meals, activities and company until they were settled. Continuing around this clean and bubbly place I met the other staff, nurse Somodale Dosunmu and Dr Onikepe Ijete, who told me what a great place it was to work and then Omar took me into the garden to show me the exercise equipment. It looked so inviting we had to have a go! While lunch was made, we popped across the road to the Kingswood Centre where Omar runs his jewellery classes. 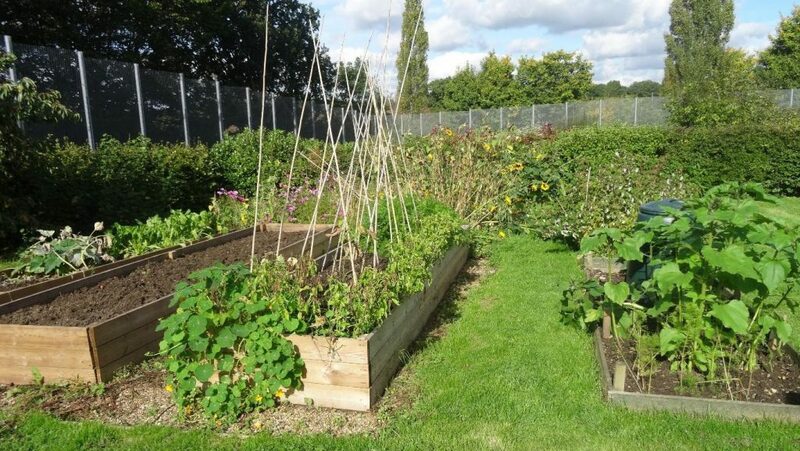 Here the men can chill in calm garden areas, indulge in a bit of horticulture, use a range of gym facilities and even learn woodworking. 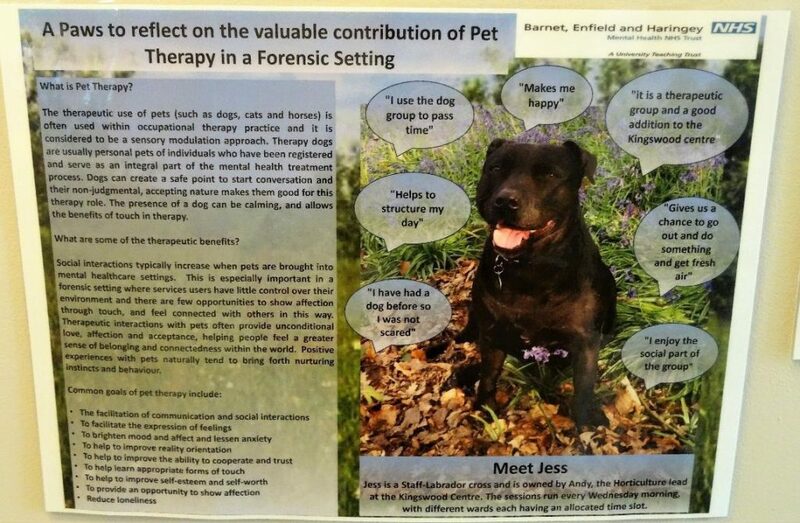 I was on the wrong day to meet Jess, the Pet Therapy dog that attends the centre and ward, but I did get a picture of her poster. 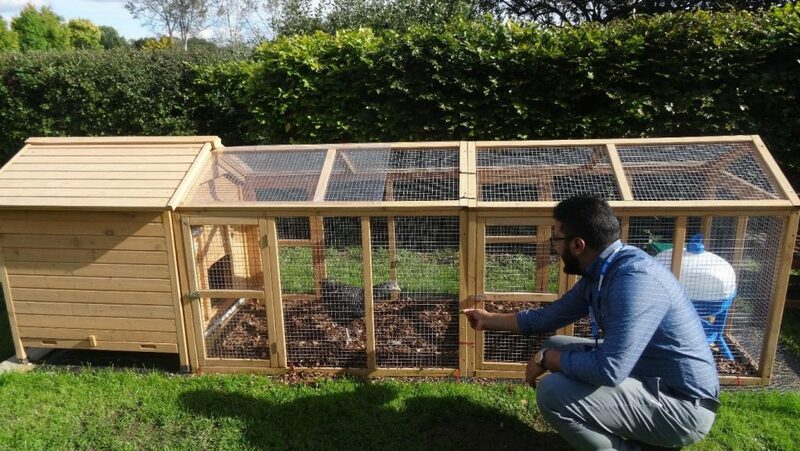 All was not lost as Omar and I got to play with the centres chickens. Then it was back to the ward to meet and congratulate Service Managers Sarah Tozer and Colman Pyne on the ward being the first in the Trust to achieve a Full Monty, give Omar and these wonderful people their well-deserved award and be offered a slice of the cake made that morning by Vincent. Have I mentioned the cake? So, people, if you want to see another amazing ward, pop up to Chase Farm and visit Blue Nile House. 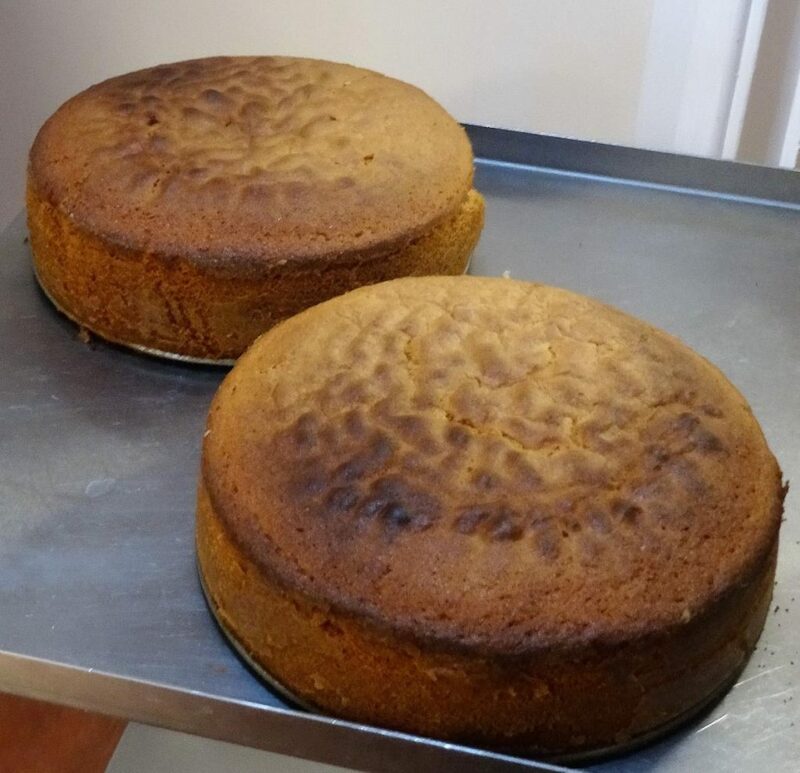 I’m afraid there is no cake left, but it is really worth it.